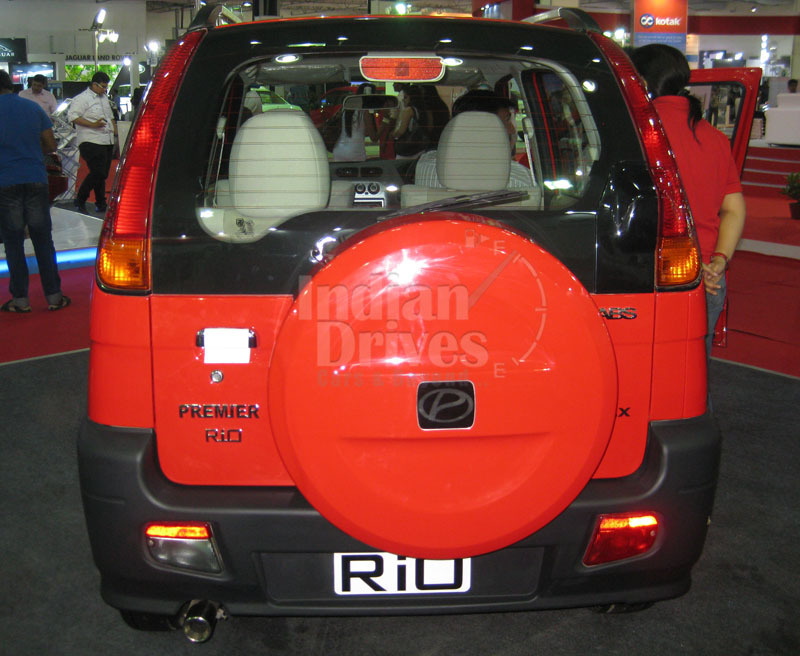 In 2010 Premier launched its Rio, which created a new segment of small sized SUV (sports utility vehicles), but somehow the firm couldn’t manage to sell it in good volumes. One of the main reasons was that it was very bland and boring looking. But now the company has turned the tables with the launch of its 2012 model at the International Auto Expo 2012 in New Delhi. With new headlights, tail-lights, bumpers and all-new interiors this new Premier Rio is boosted by a tried and tested Fiat’s strong 1.3 liter diesel engine.This new Premier Rio seems to become a hot favorite of a customer who desires a SUV look in a low-cost 5 seater four-wheeler in the price of a premium hatchback. 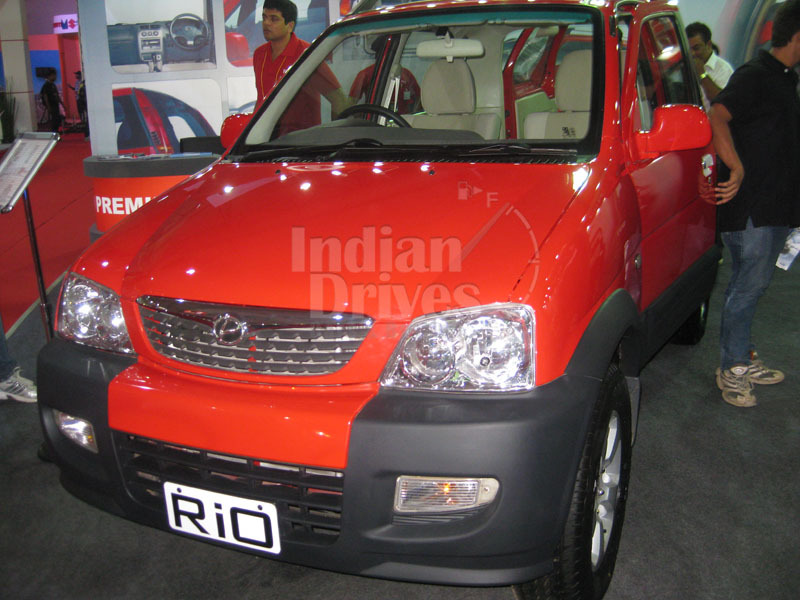 The firm has introduced the five variants of 2012 Premier Rio, which are-New Premier Rio DX, New Premier Rio LX, New Premier Rio GX, New Premier Rio GLX and the much awaited New Premier Rio Multijet (this is the come which is coming soon). The complete line-up of this new variant of Premier Rio will come with a lot of comfort, style and safety features to it. The mandatory device for leveling the headlamp as per by law, the ORVM (outside rear view mirrors) which are electrically operated, rear wiper and washer with a demister on the rear window, rear-view mirror with day-night capability, fog lamps on the rear, central console with usual cup holder and cigarette lighter, fuel lid opener is remote enabled, front electric windows and power steering, impact beams on the side, brake assist technology are a few things with which this New Premier series is equipped with. AC, ABS, Central locking, CD player with AM/FM, 4-speaker, keyless entry, 15-inch alloy wheels, EBD and fabrics of premium quality in various shades are something in addition to the standard features in the high end model of Rio. There are two petrol variants available right now in Premier Rio and very soon the diesel variant will come as well. Now with the downsized, Peugeot TUD5 diesel engine which has been now adopted by Premier. The new 1.2 liter 1490cc petrol engine gives 65 bhp at its peak while the 1.5 liter 1489cc diesel engine generates a smooth power of 65 bhp at 4000 rpm with a peak torque of 152 Nm at 2250 rpm. Now the upcoming New Premier 1.3 liter diesel multijet engine equipped vehicle will be a BS-IV compliant model which is being tested these days and soon it will hit the showrooms. The new Premier Rio 1.3-liter diesel will let the company compete more profoundly in the automobile market of India with the likes of Mahindra Xylo Mini.